LMC Facilities provide a full suite of Planned Preventative Maintenance (PPM) Services. At present we cover 64 disciplines - to view please click here. Once we have agreed a Service Level Agreement (SLA) with our clients an agreed schedule of PPM for their assets is uploaded to the PPM Scheduler on our Computer Aided Facilities Management (CAFM) System. 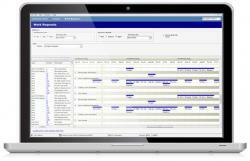 The PPM Scheduler includes a live interface that logs and tracks the status and progress of all Planned Preventative Maintenance and Statutory requirements. Detailed reports are available from the PPM Scheduler for either a single asset or if required a particular group of assets across a client’s estate.